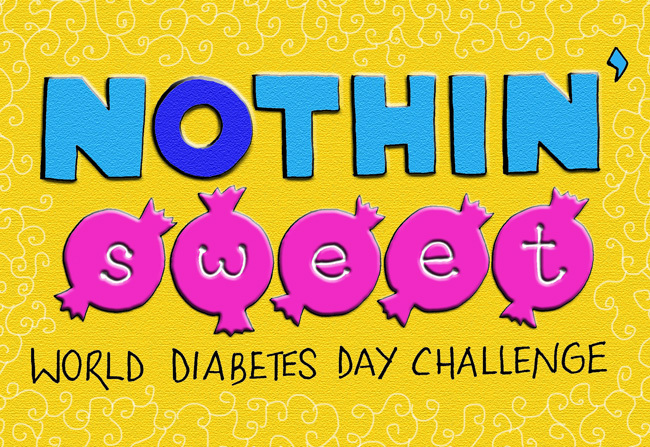 Home » About Sugars » World Diabetes Day Challenge! It’s World Diabetes Day! And here’s a challenge for you today! Survive 24 hours without eating anything sweet! For one day, avoid the following sweet things! Too easy for you? Ramp it up, further, by avoiding these too! This challenge should help you get a peek into one of the aspects of a diabetic lifestyle and appreciate what it means for someone to keep their diabetes in control! While diabetics do not have to avoid all the listed items at all times, most of these tend to spike blood sugars and therefore diabetics need to be careful with how much of these they consume. For this challenge, become a food investigator for a day. Everything that you eat will have to pass your scrutiny first. Knowing what is in the food that you eat, is the first step to eating healthily! To help you with this challenge you may like to check out my post Know your Sweeteners Better and if you need a quick guide on reading labels, here are 5 Steps to Effective Label Reading. After reading the first no-no list, I thought, I already do this on a daily basis! Then the second one.. ketchup, and sweet chili sauce, although I can survive without it, I do realize I probably have it too often. And the last one on the list, sweeteners!! (can’t give up chewing gum!) But I will try this out sometime! So what do you know about sweeteners and blood-sugar levels? You did mention in your other post though, that the facts concerning artificial sweeteners’ blood-sugar effects are quite hazy, since they haven’t been here long enough and manufacturers may potentially be hiding the truth. Or were you talking about their other health side effects? Thanks for the reply anyway! I was talking about the other side effects – laxative effects for instance.